History, significance and engagement of women in cities and towns located at the river Danube will be brought to life again in guided tours. Many (young) people were involved in the making of this new guide. In Ulm and in Timisoara pupils were integrated into the project, in Ulm students of the Hochschule Neu-Ulm developed content for a mobile App about women personalities in their hometown. 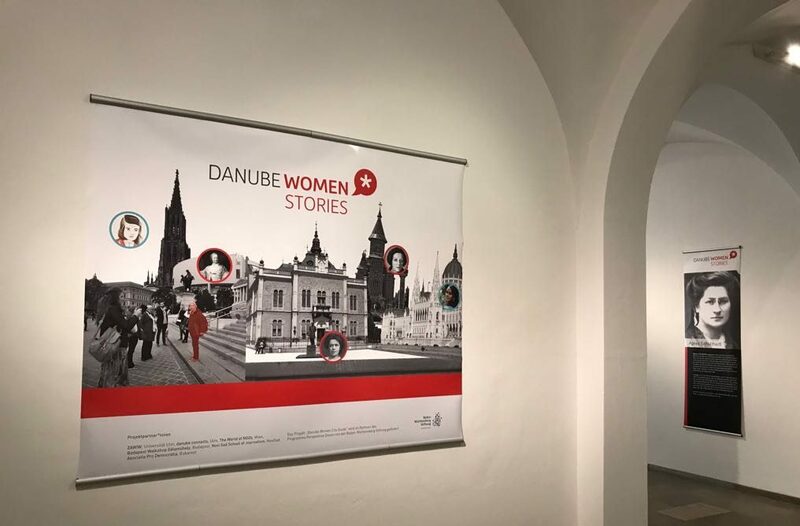 “Danube Women*Stories” will be presented to the public on 13th of Juli 2018 at 1:15 p.m. in the Museum of Ulm in the presence of State Secretary of Baden-Württemberg, Theresa Schopper. The city guide – published by “danube books” – is showing 50 portraits of extraordinary “Danube Women“ from the past and present. Opening times of the exhibition in the Museum of Ulm: 6 – 15 July 2018, Tuesday – Sunday 11:00 a.m. – 5:00 p.m., Thursday 11:00 – 8:00 p.m.